When a basement begins to leak, it’s a sign the drainage system around your home is no longer properly working. 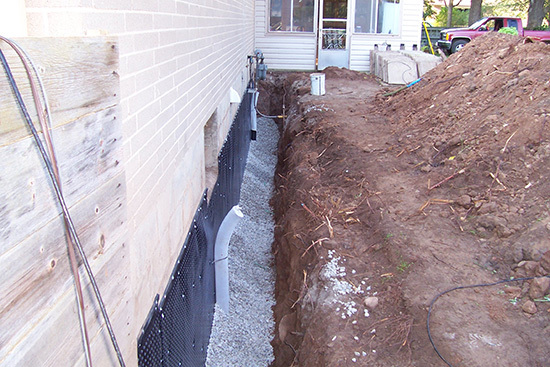 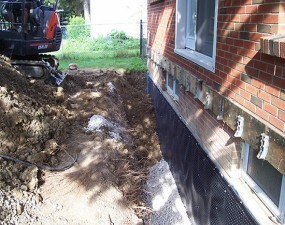 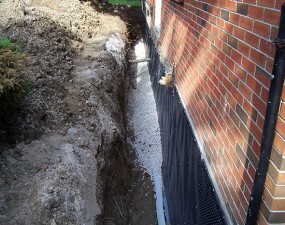 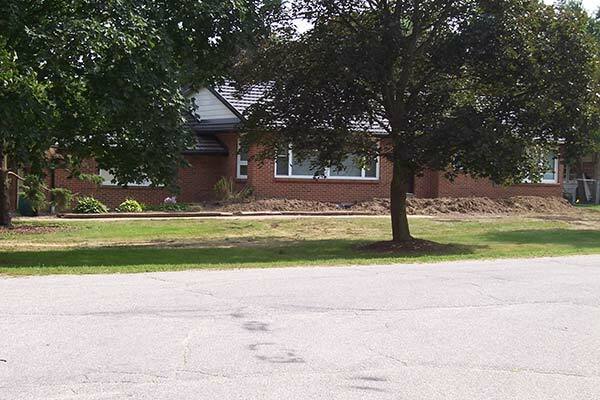 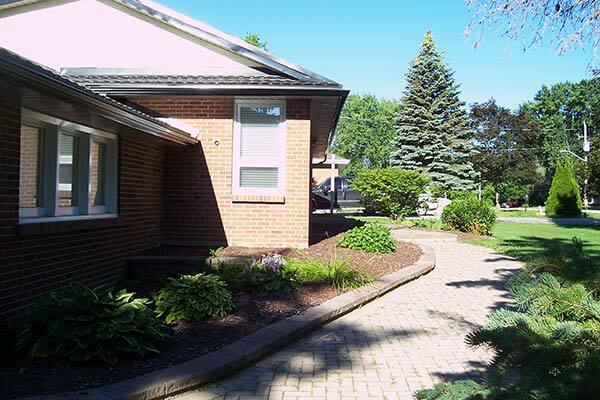 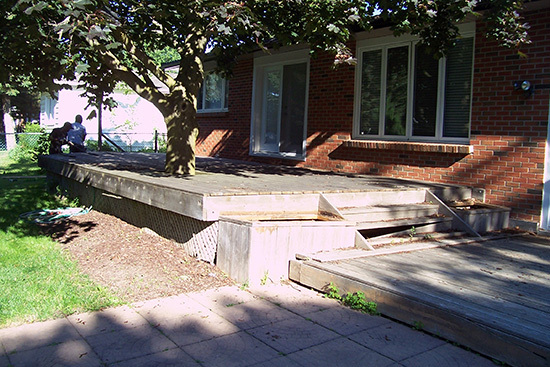 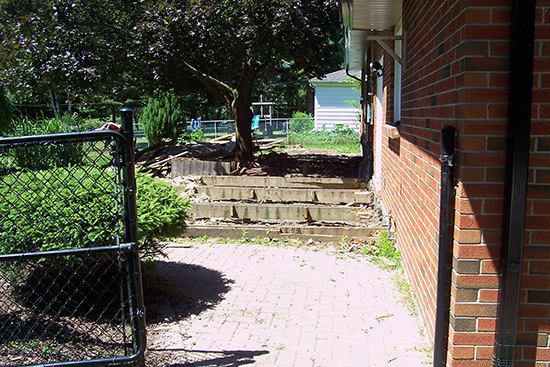 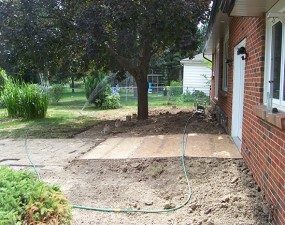 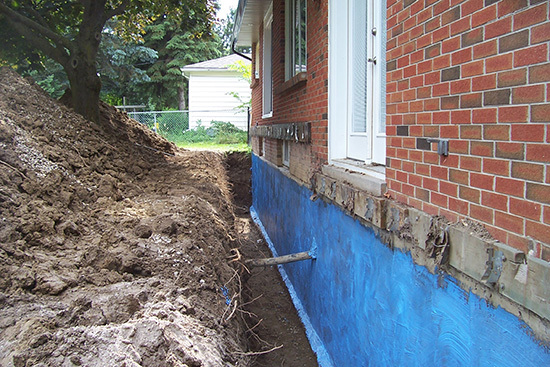 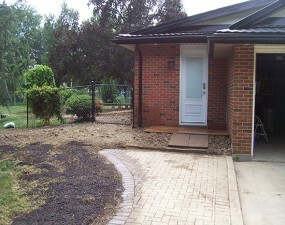 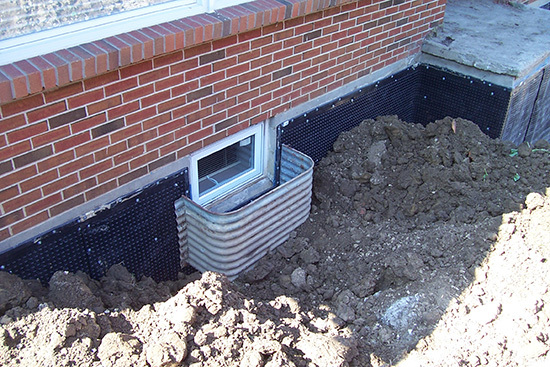 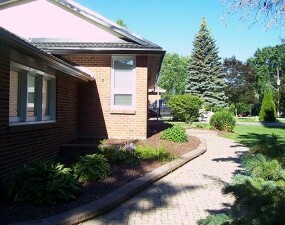 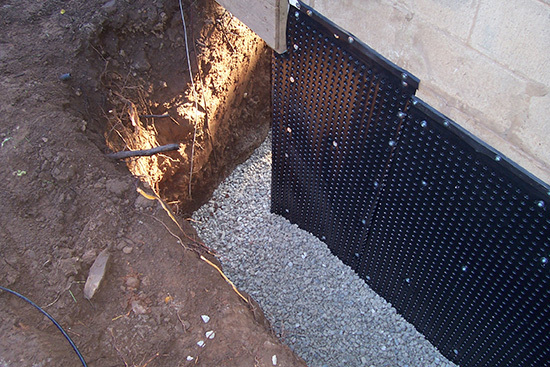 When the weeping tile (the drainage pipe around your home) becomes clogged or displaced, water can no longer be properly drained away from the footings and foundation walls which allows hydrostatic pressure to build up, forcing water to penetrate the foundation walls and under the base of the footings. 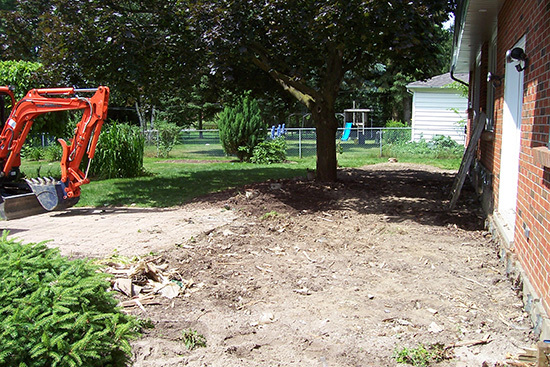 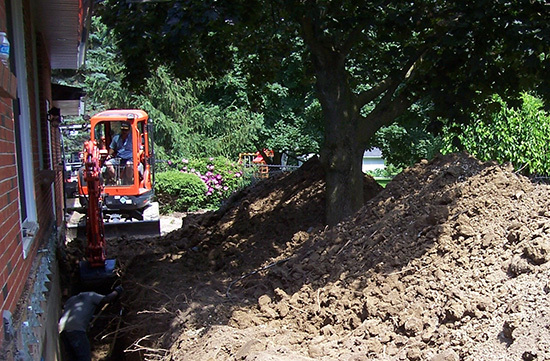 Earth is excavated down to footings along foundation walls by machine, hand or both. 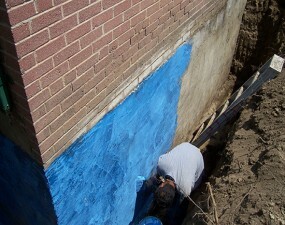 Walls are cleaned of dirt and debris and a rubberized waterproofing sealant is applied. 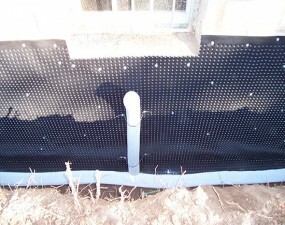 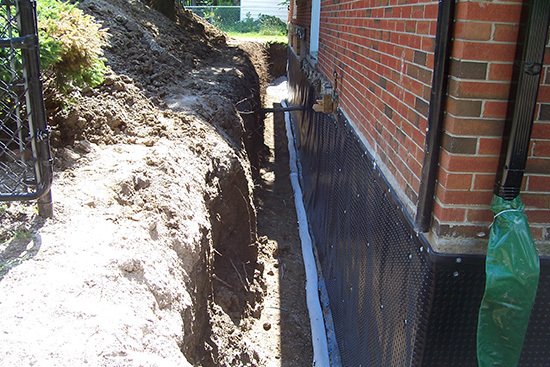 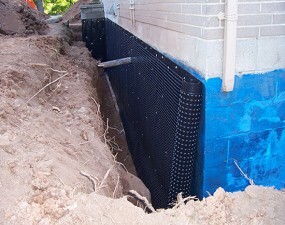 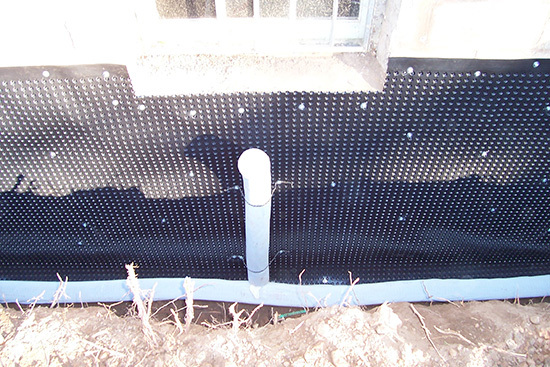 High density polyethylene waterproofing membrane is then fastened to walls from the footing up to grade. Existing weeping tile is removed and replaced with new perforated and filtered weeping tile. The weeping tile is covered in drainage stone and excavated area is backfilled.